Robert graduated from The University of Sydney in 2007 with a Bachelor of Medical Science (BMedSc). The same year, he relocated to Perth to study a Bachelor of Medicine / Bachelor of Surgery (MBBS) at The University of Notre Dame, Fremantle, from which he graduated with Honours in 2010. Robert completed his Internship and Resident Medical Officer years at Sir Charles Gairdner Hospital, Perth, before joining the West Australian Radiology Training program. Robert was awarded the HR Sear Prize in 2016 for the most outstanding candidate in the Royal Australian and New Zealand College of Radiologists (RANZCR) Part 2 examinations. 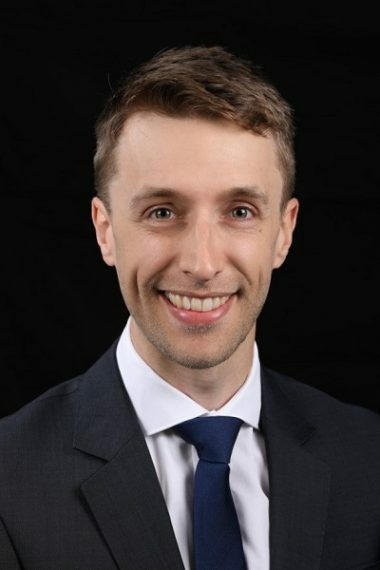 After obtaining Fellowship of the RANZCR in 2018, he undertook a 12-month diagnostic neuroradiology fellowship at the Neurological Intervention and Imaging Service of Western Australia (NIISwa). Robert joined Perth Radiological Clinic in 2019 and also has an appointment as a Consultant Radiologist at Sir Charles Gairdner Hospital. Diagnostic Neuroradiology Fellowship, Neurological Intervention and Imaging Service of Western Australia (NIISWA), February 2018- February 2019. Sir Charles Gairdner Hospital 2019-present. Australian and New Zealand Society of Neuroradiology (ANZSNR) Annual Scientific Meeting (ASM) 2019. Adelaide, South Australia: The Dentate Nucleus – Anatomy and Imaging Pathology.